This is the motto for 2016 in Austria again. In Austria many institutions were collecting green footprints during four weeks or even during the summer holiday activities! But not only that, additionally, they were also dealing with the topic climate protection in the classes. (for further information please visit the website of Climate Alliance Austria). 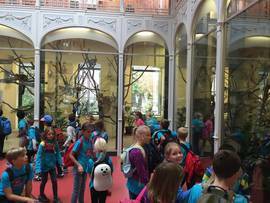 In 2016 the summer winner of the Austrian Green Footprint Action was the school VS Weiz in Styria, Austria. 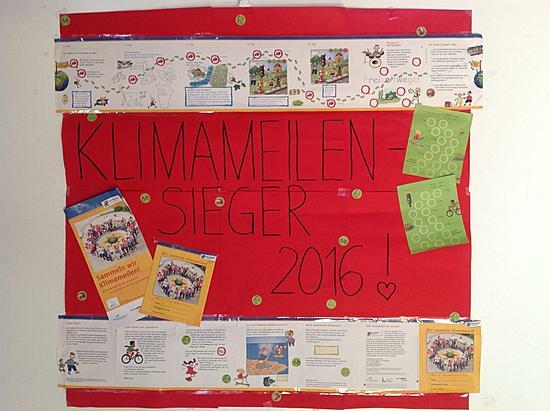 Numerous schools and kindergartens from all over Austria were also participating this year in the “Kids on the Move” campaign, in Austria being organized by Climate Alliance Austria (funded by the Ministry for a livable Austria). The children of all classes of the Volksschule Weiz gathered 5,229 Klimameilen in 20 days. With this impressive, car-free record, students from Styria took part in the Austrian ZOOM Campaign. However, collecting green footprints is not the only climate protection activity at that school. 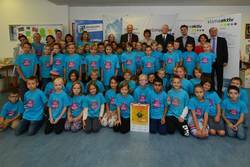 In Addition they did an eco-friendly musical, the "Energieschlaumeier" project, an action day on the subjects of environment and health as well as the first Styrian children's climate conference! 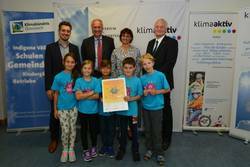 The Austrian Federal Minister, Andrä Rupprechter, congratulated them: "We can learn from our children how climate-friendly mobility can look alike in the future. They combine various means of transport such as scooters, bicycles or public Transport already. This is the key for change concerning mobility." The pupils and teachers have been awarded by Reinhard Mang (Federal Ministry of Agriculture, Forestry, Environment and Water Management), Christian Eder (Director ÖBB Postbus GmbH) and Markus Hafner-Auinger (Director of Climate Alliance Austria). 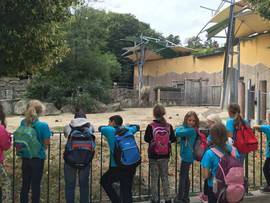 As a special thank you for gathering that many Klimameilen, the Kids were invited to the zoo 'Tiergarten Schönbrunn' in Vienna. 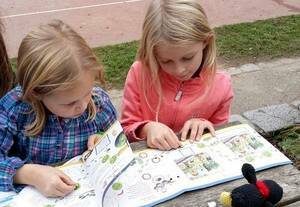 Due to the kind support of ÖBB-Postbus the way to and from the zoo was climate-friendly as well.